Blasting trigger mechanism, historical artwork. 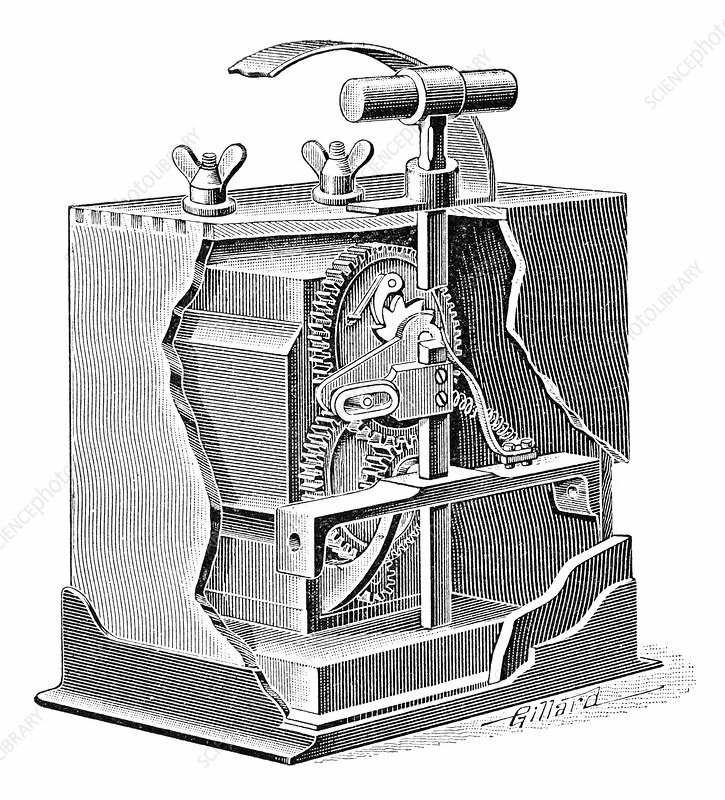 The cutaway section shows the internal mechanism that is triggered by the plunger used to set off an explosion. Depressing the plunger triggers a small dynamo (the rotary motion coming from the toothed cogs) that sends an electric current down wires to ignite a blasting cap and detonate the explosives. This method avoids accidental ignition that is possible if batteries and a switch are used instead. Artwork from the third edition of 'Les Entrailles de la Terre' (1902) by French author Eugene Caustier.